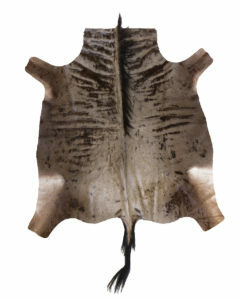 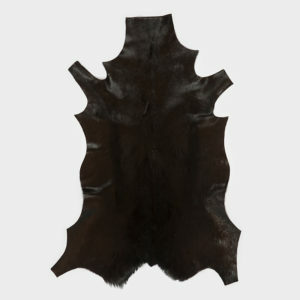 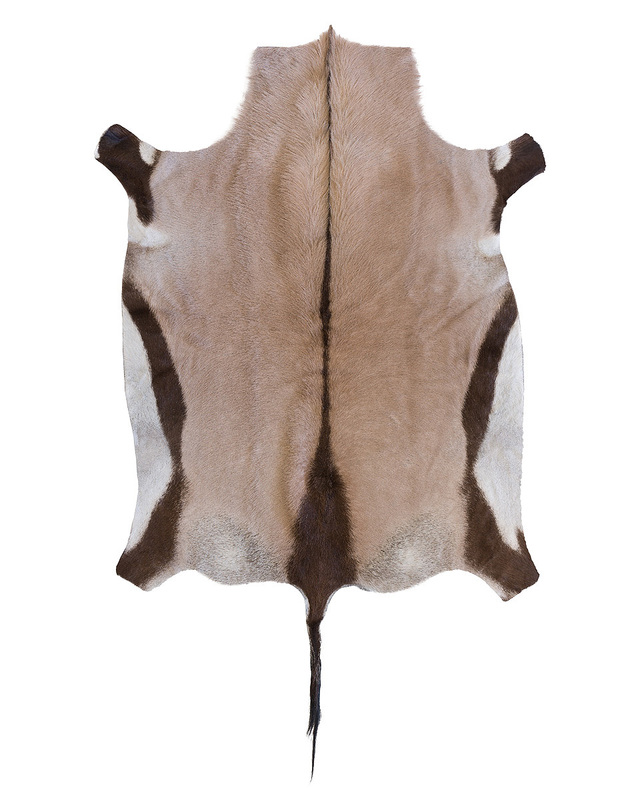 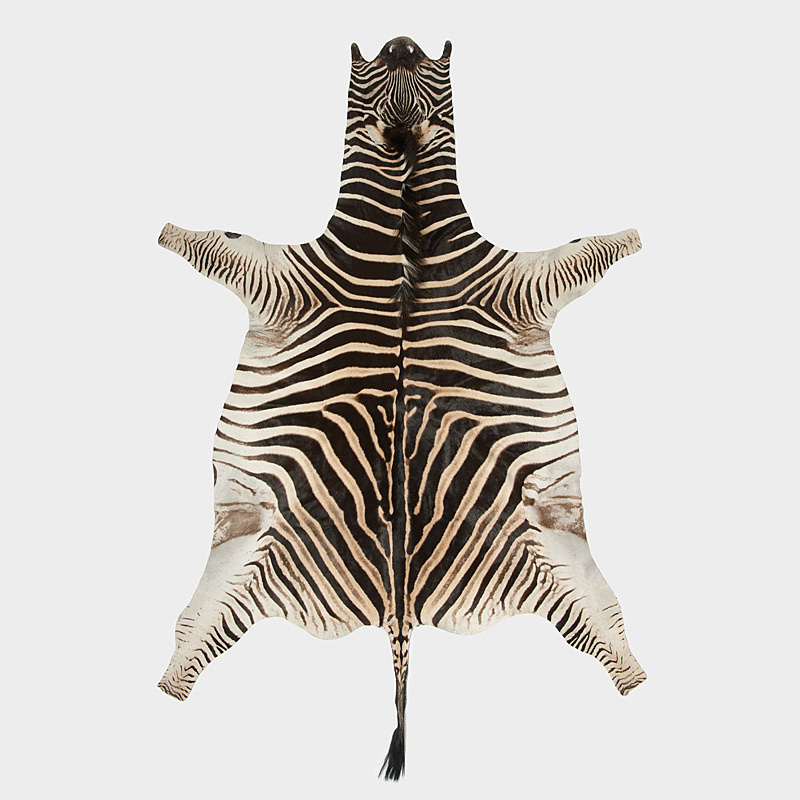 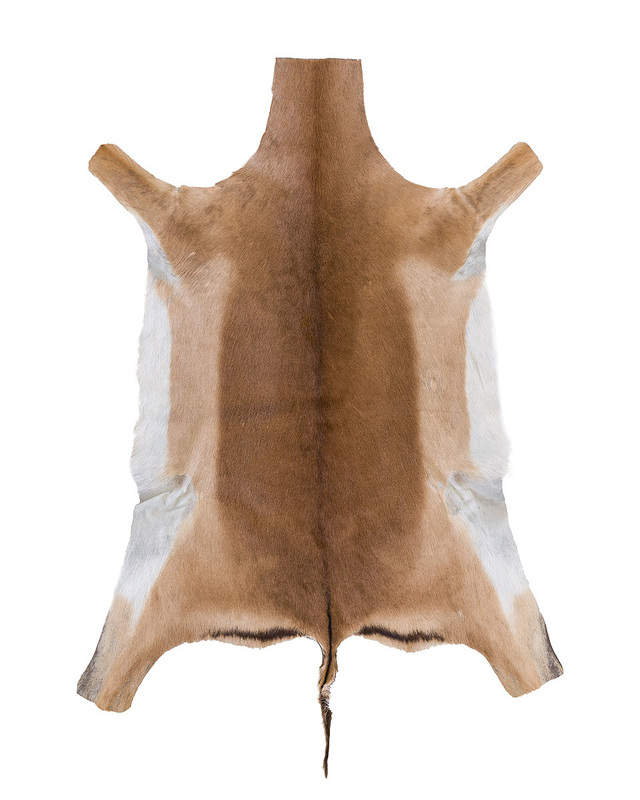 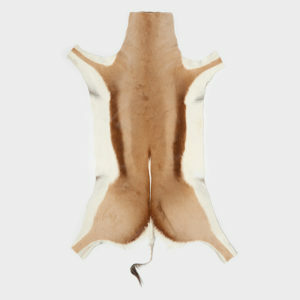 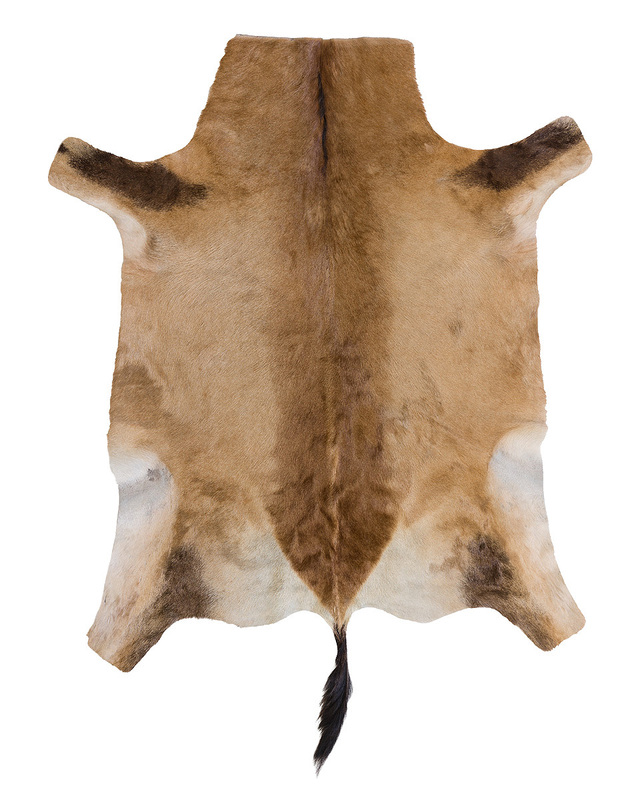 All of our animal skins originate from sanctioned culls. 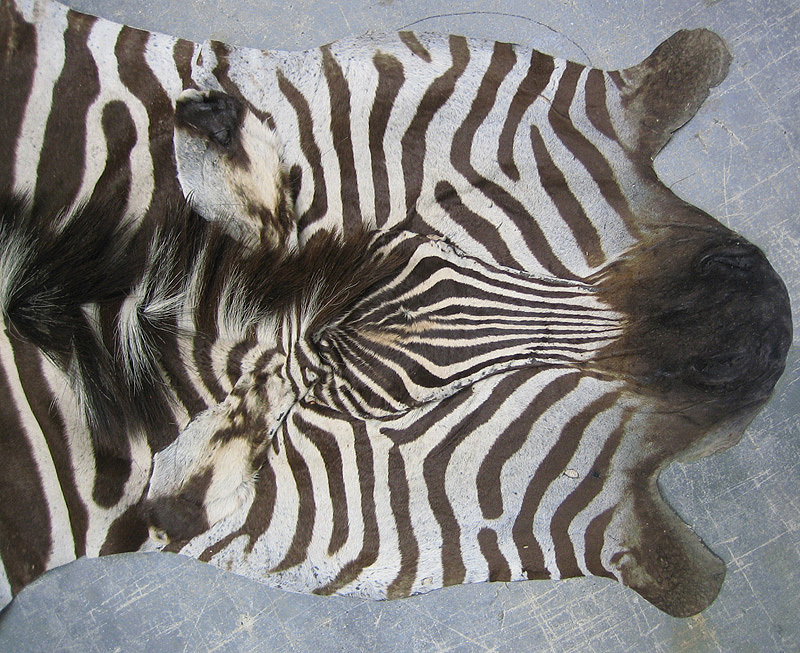 Culling is especially necessary to protect herd lands from the devastating effects of overpopulation, and is therefore a positive, productive process. 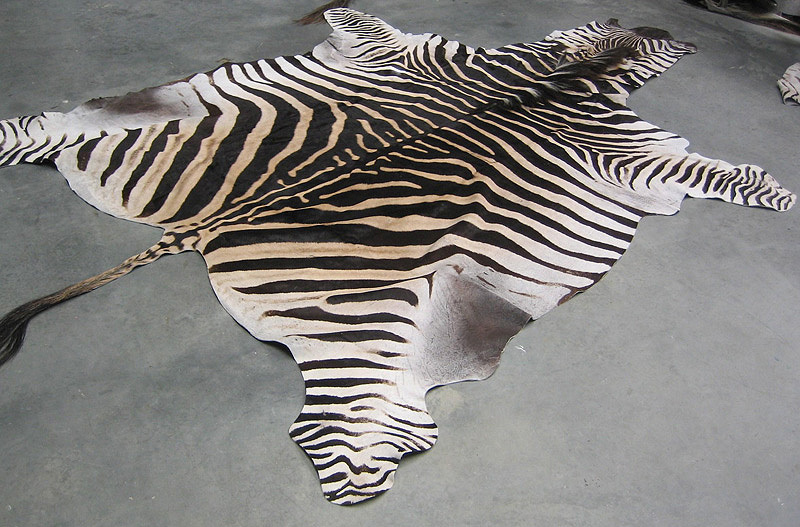 infrastructure, in order to contribute to and ensure the survival and growth of African herds. 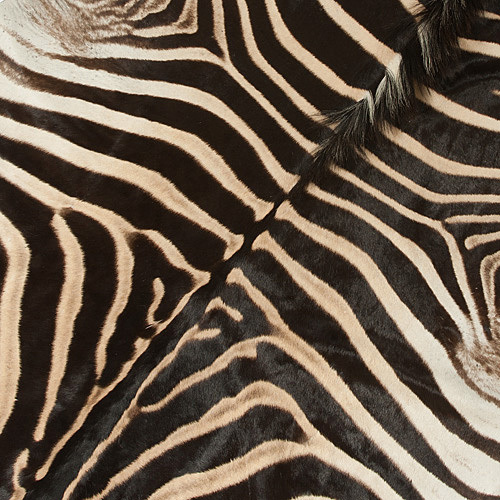 improves the value of animals and strengthens each species’ long-term survival prospects. 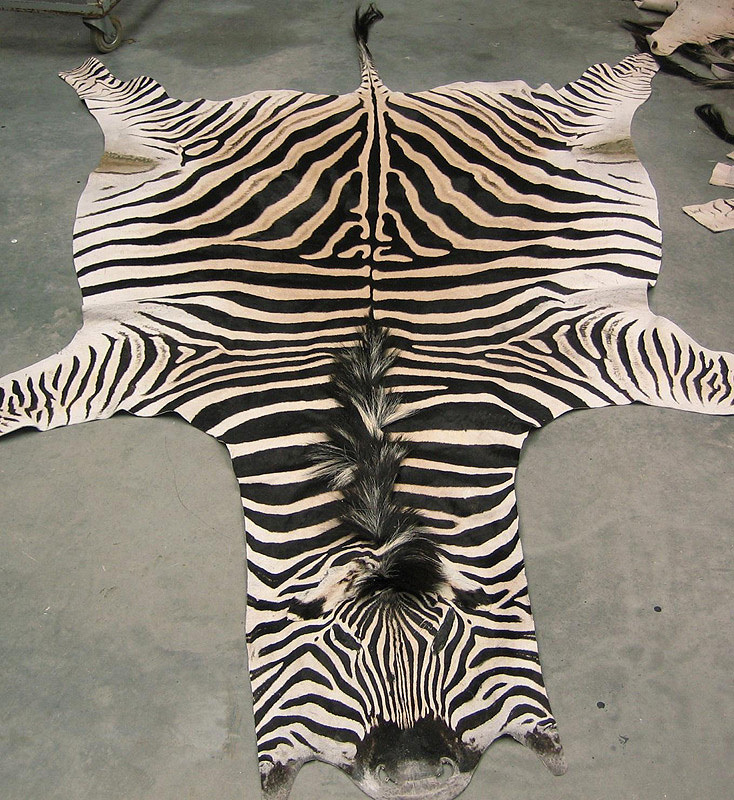 Culling is therefore an essential conservation action – it helps to continue the natural cycle of life. 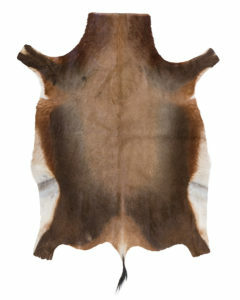 skin. Culling licenses are strictly controlled by government and wildlife organisations. 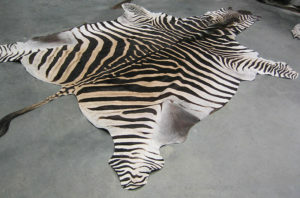 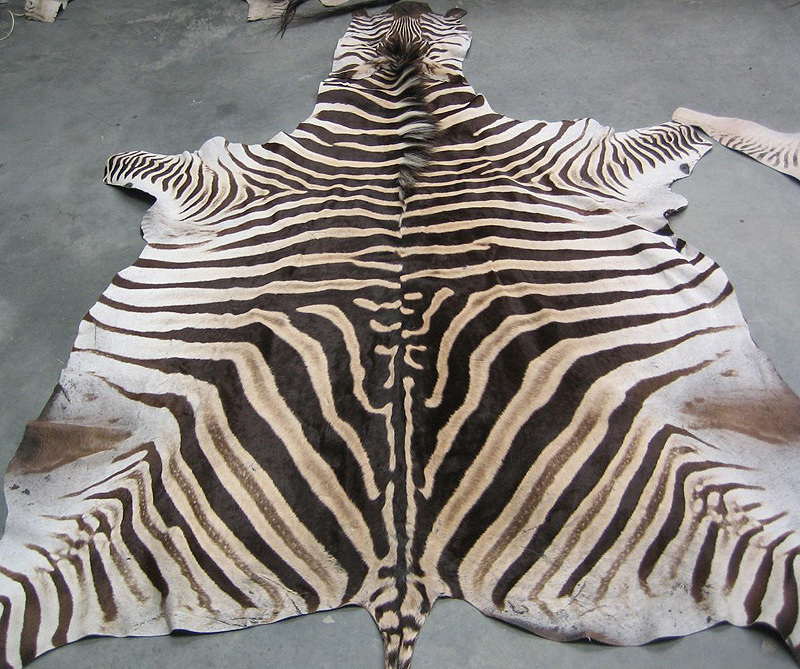 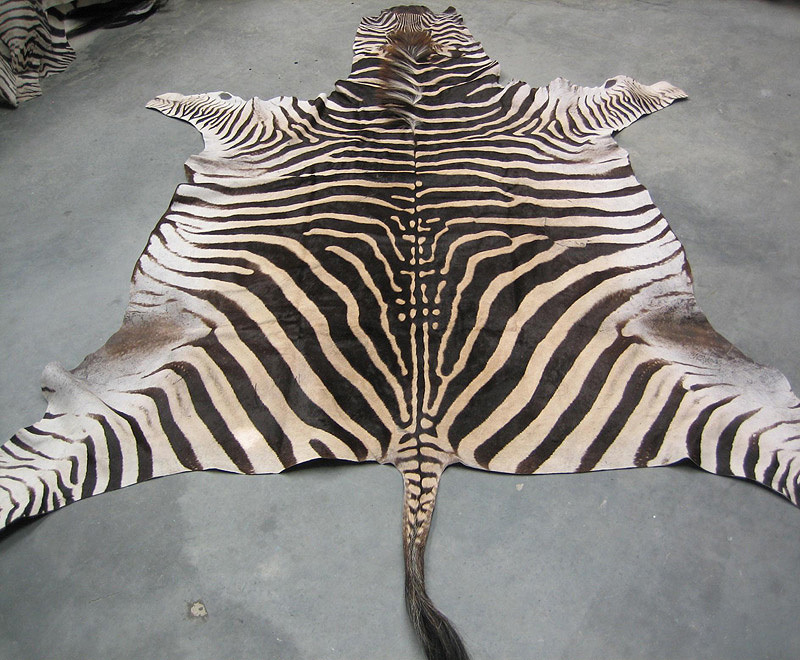 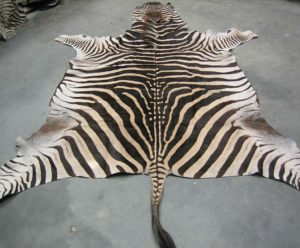 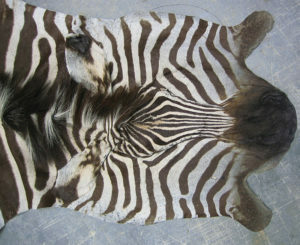 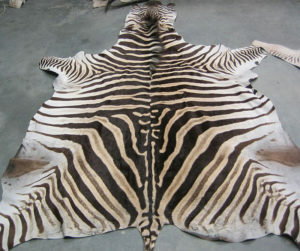 We stock a wide range of superbly tanned Zebra Skins (Equus Burchelli) at competitive prices. 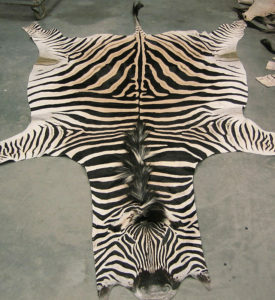 They are all certified & fully exportable. 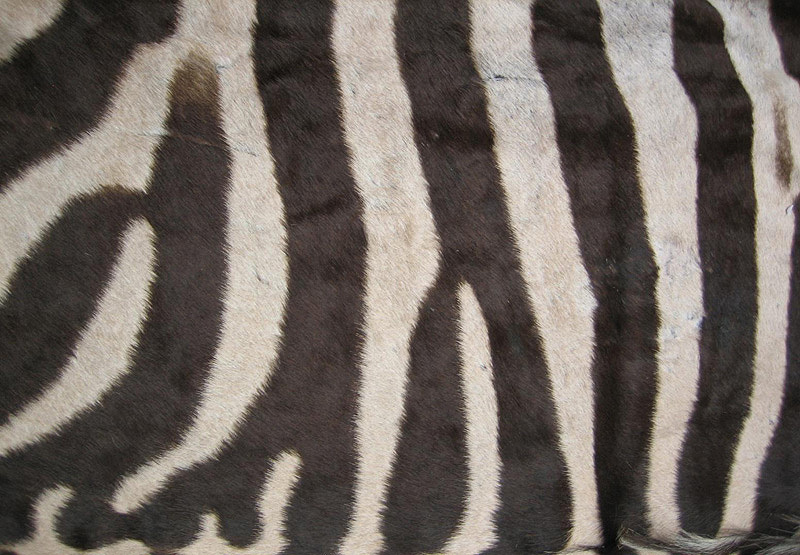 GRADING | Our zebra skins are graded according to: size, beauty of mane and tail, richness in colour as well as the amount of natural markings such as scars and scratches.